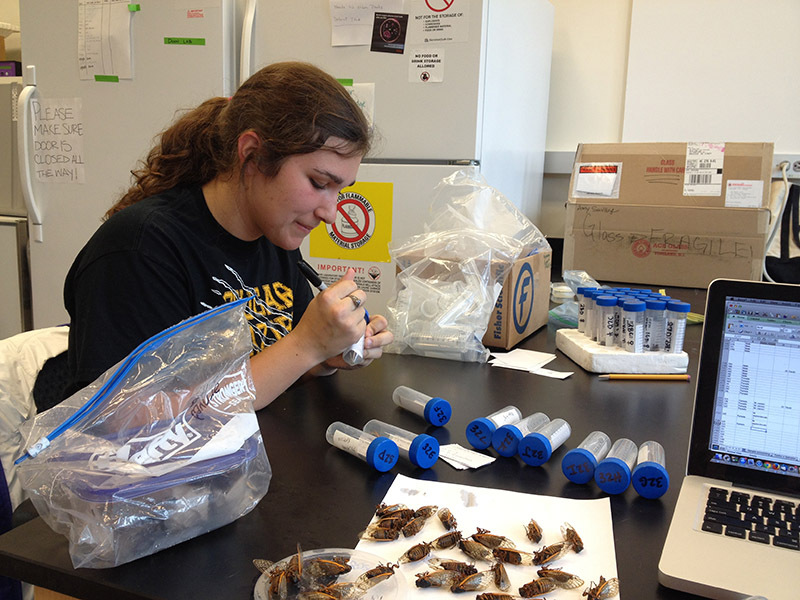 Over 300 dead cicadas submitted by citizen scientists from 29 unique locations, representing 5 states! 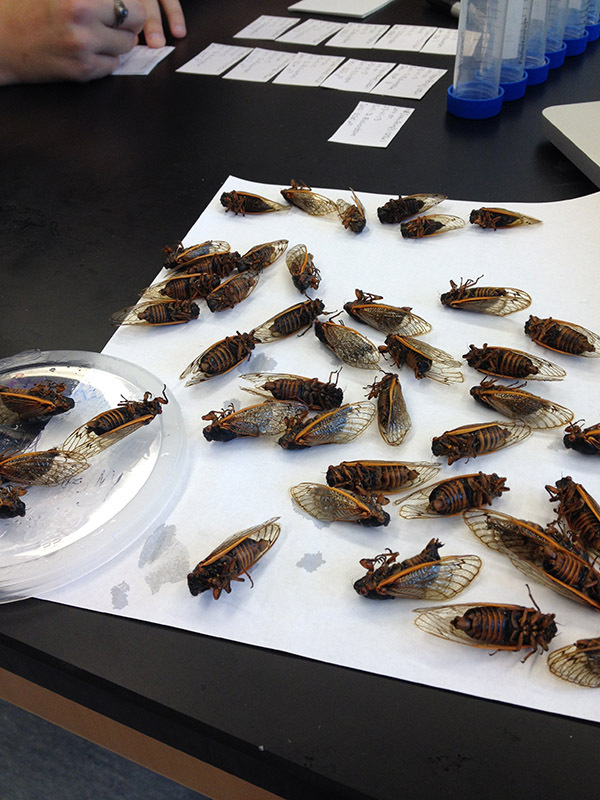 In May-June 2013 Brood II 17-year periodical cicadas emerged across a wide swath of the East Coast, from Georgia to Connecticut. 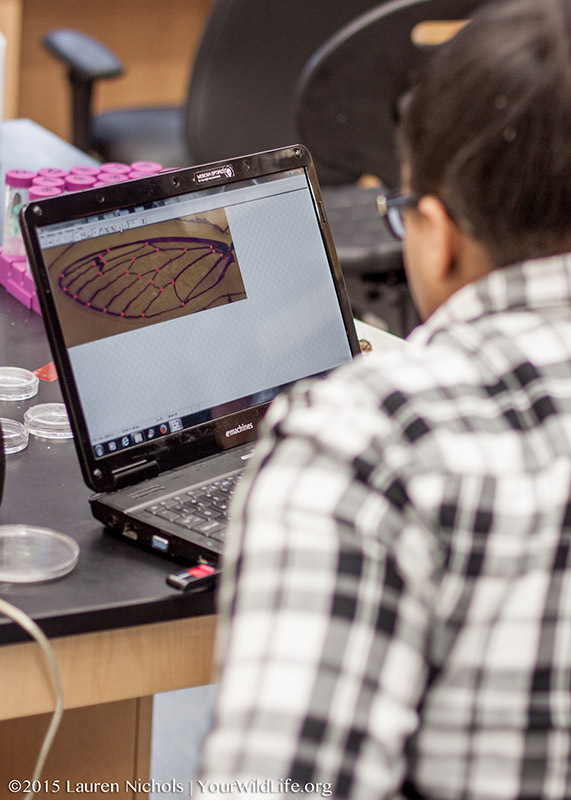 This also happens to be an area that has undergone a swift and extensive urban conversion, from forests and fields to suburbs and cities. 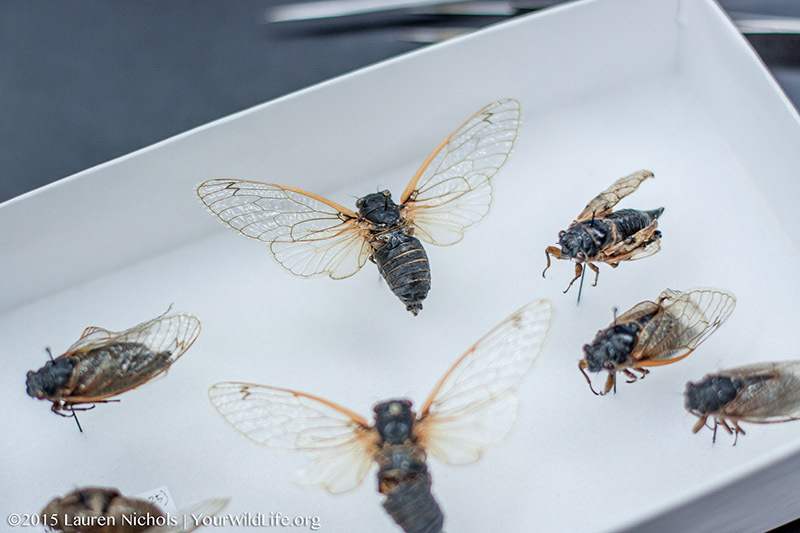 Periodical cicadas — with one of the longest life cycles of all insects, spending the majority of their 17-year lives underground, tapped into tree roots — may be particularly vulnerable to the stresses of urbanization including pollution and warming. 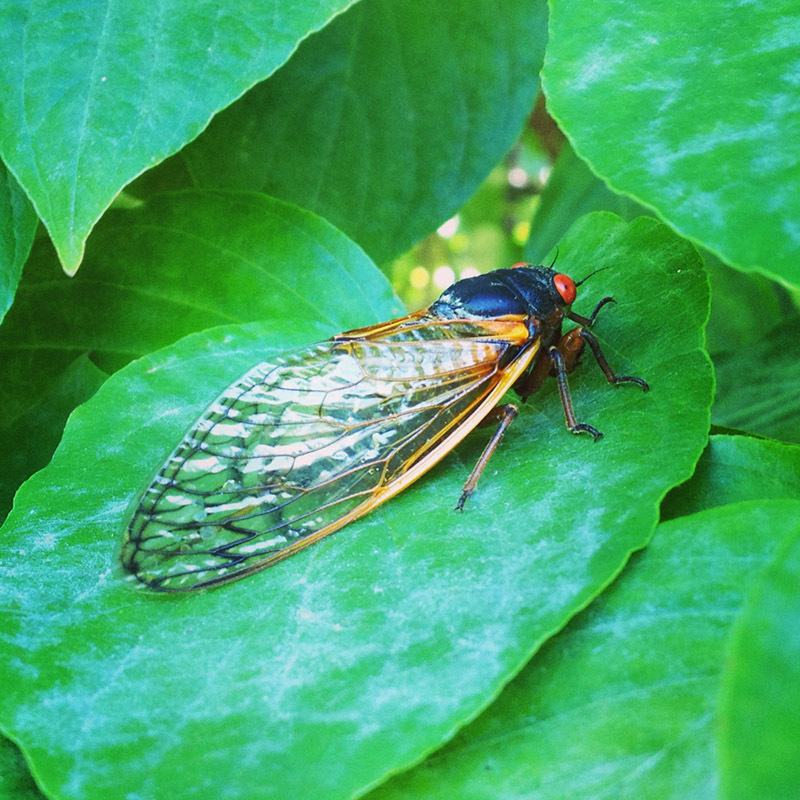 We hypothesized that increased exposure to environmental stress during development would result in increased body “crookedness” (also called functional asymmetry) in 17-year cicadas. 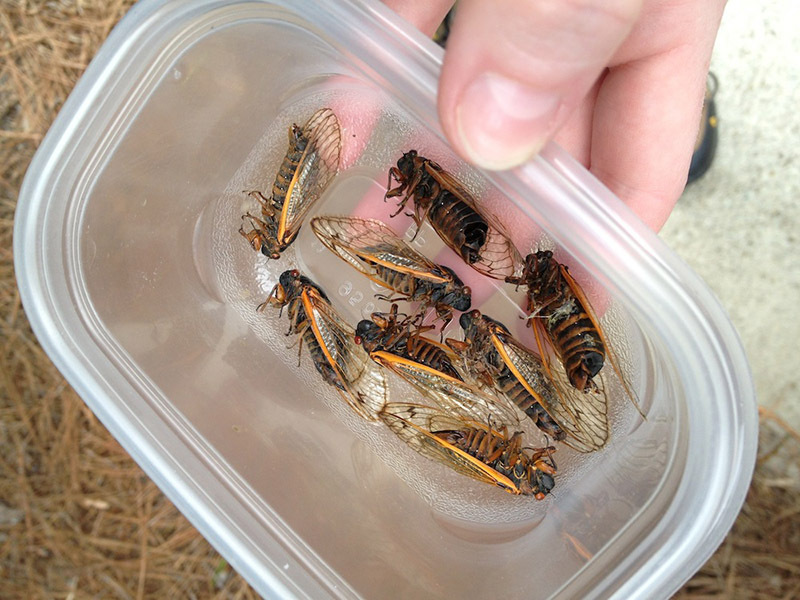 Citizen scientists throughout the Brood II emergence zone collected 5-10 dead, adult cicadas and shipped them to our team at NC State. 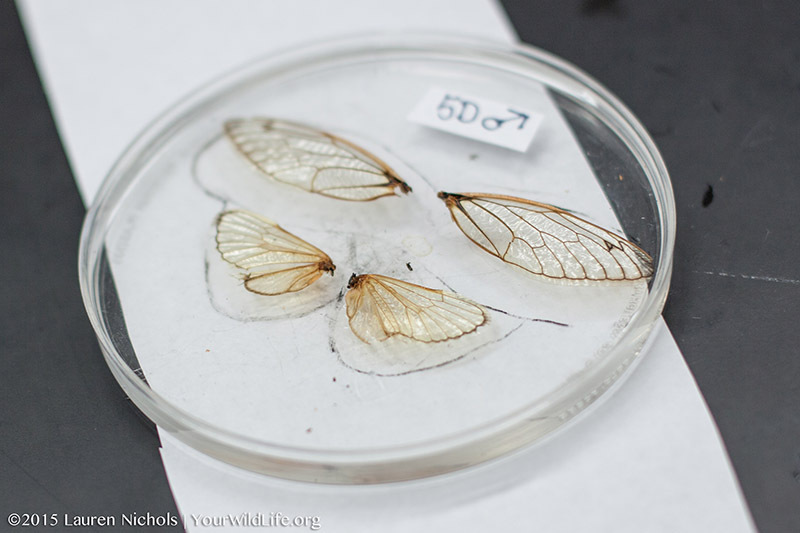 They also provided important information about the habitat and location where they collected the specimens. 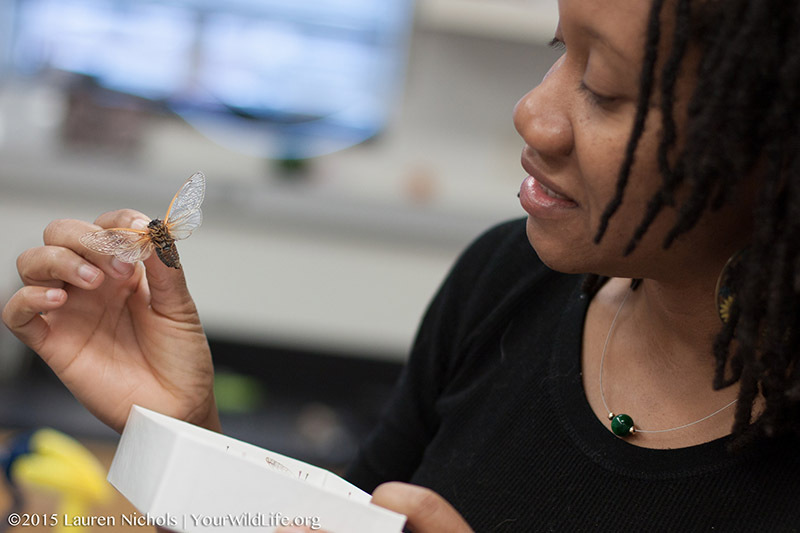 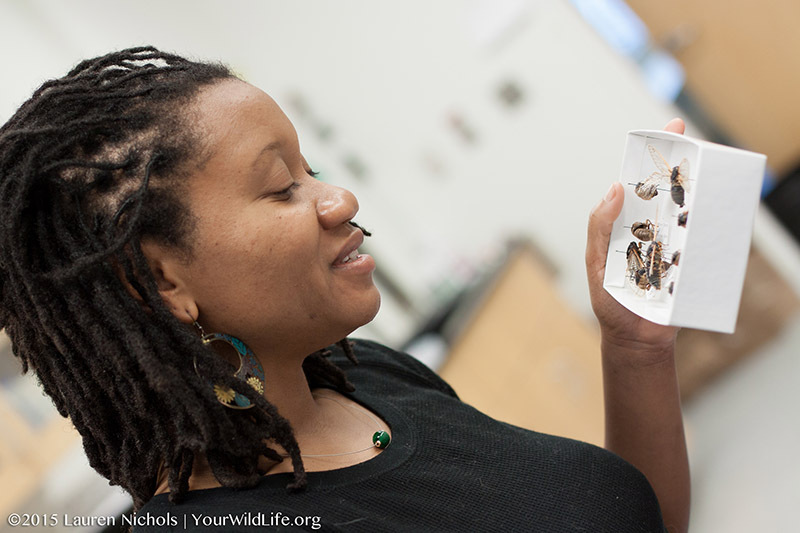 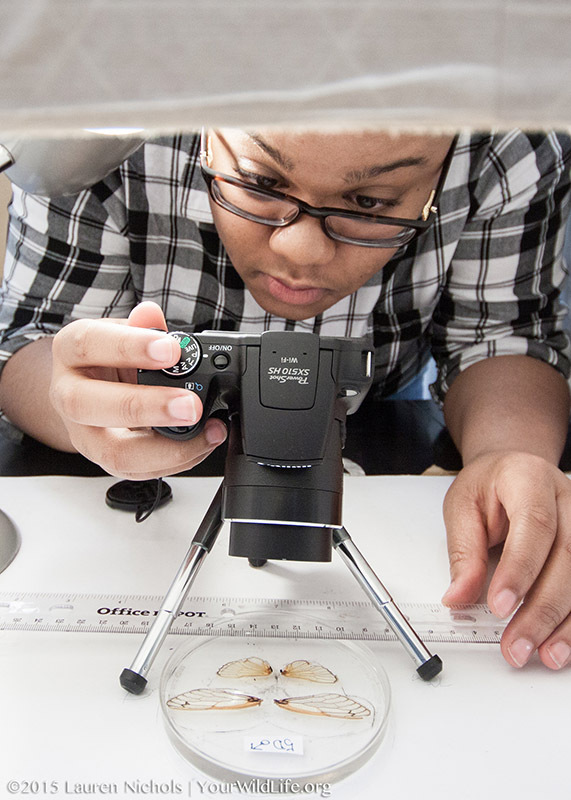 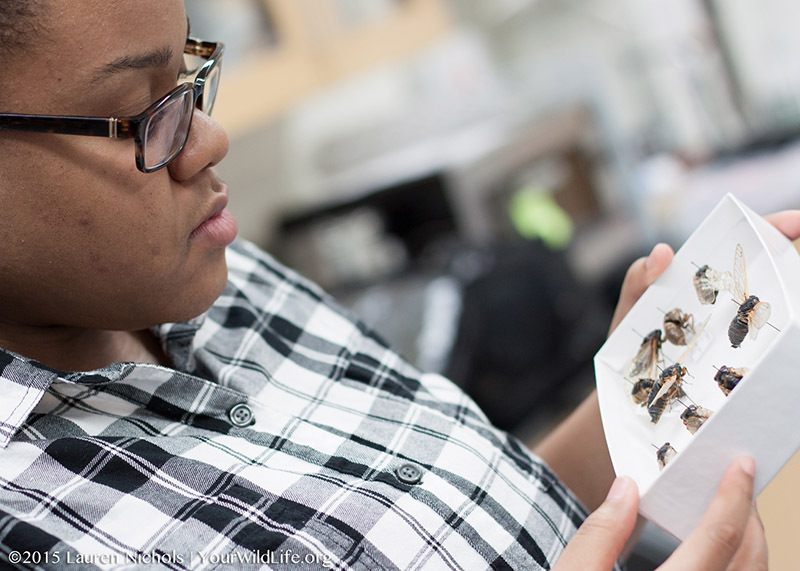 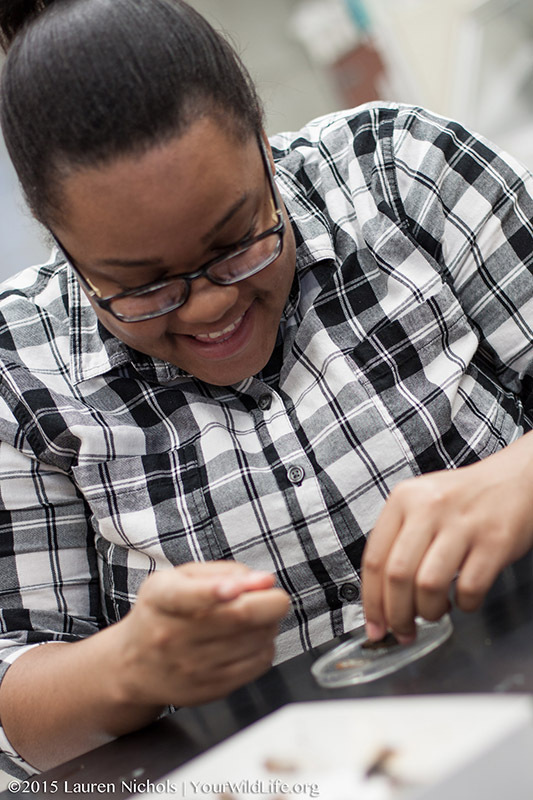 With the help of NC State undergraduate Nana Boateng and Apex High School student Liza Bunce, we sorted, dissected and made measurements of cicada body characters, including the lengths of forewings and hindwings. 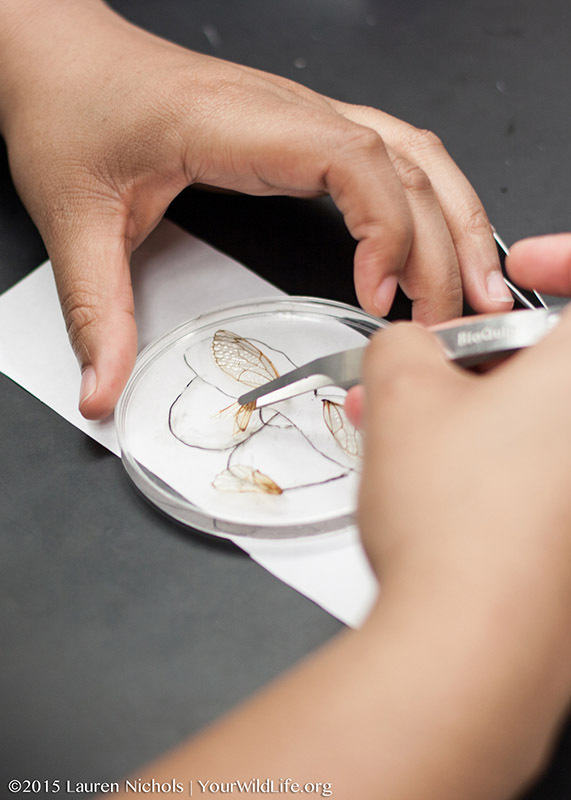 We are analyzing these data to test our hypothesis about the effects of urbanization on cicada development and body shape.